If you missed Gustavo Arellano’s talk last Tuesday in Pomona, you were in good company: There were only seven of us, and five of them were part of the library-connected group that invited him. One member of the general public was there, who’d seen the announcement on my Facebook page that morning. (By the way, 18 people “liked” my post, and then went on with their lives.) I’d say the talk wasn’t well-publicized, which is likely true, except I did see an advertisement in the Claremont Courier, which evidently spurred no one to action. As it was, having heard a version of Gustavo’s talk twice before, in Claremont and Upland, I skipped out for dinner. Mexican, obviously. (Look for an upcoming Restaurant of the Week post on that.) I missed the mayor’s quick appearance, during which he mispronounced “Arellano,” which led to some unkind remarks by Gustavo on his own FB page. But I caught some of his talk. As he researched “Taco USA: How Mexican Food Conquered America,” Arellano, who writes the syndicated “Ask a Mexican” column, traveled the country eating Mexican food in 46 of the 50 states, all but Alaska, Hawaii, Louisiana and Maine. “Everyone’s definition of Mexican food is different,” Arellano said. One epiphany came in New Mexico, where friends took him out for something called breakfast tacos, which he’d never before encountered. Asked what a Mexican breakfast in Southern California consists of, he told them about breakfast burritos, whose contents they scoffed at. Arellano gave up worrying about authenticity. “It’s either all authentic or none of it is authentic,” he concluded. He decided to embrace everything, taking a Pope Francis-like “who am I to judge?” approach. Someone asked him about the best Mexican food in Pomona, which he threw to me to answer, as he’s an OC guy. Someone else jumped in to suggest Taqueria de Anda, with which I would concur, and Tacos Jalisco, which I’ve seen but never took seriously; I offered Tijuana’s Tacos and got an amen. A question came up about the chain Taco John’s, which is based in Wyoming. The questioner ate there in Nebraska; I ate there in Illinois, and it’s the first and only place I had Mexican food for several years. “Their great innovation is tater tots as Mexican food,” Arellano cracked. Sunday’s column begins with an item about a special — and free! 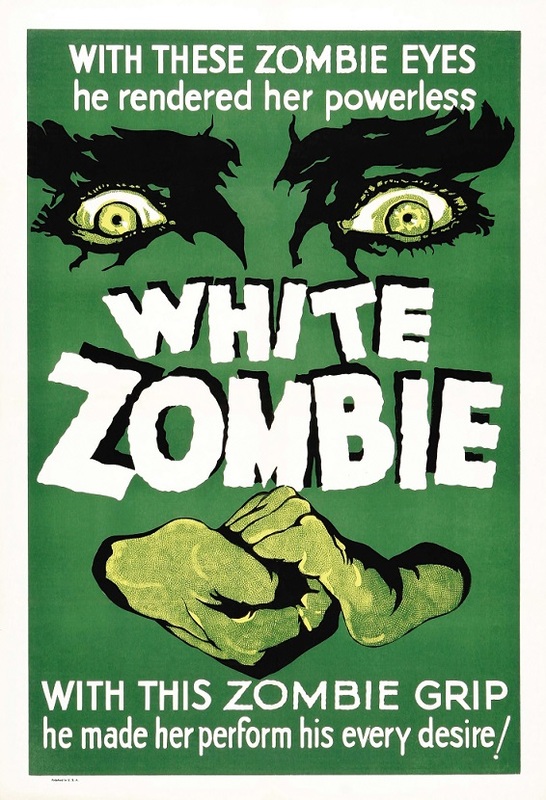 — screening of the first zombie movie, the 1932 Bela Lugosi camp-fest “White Zombie,” which happens to co-star a woman who later went on to own a junk store in Ontario. Er, interesting career trajectory, no? 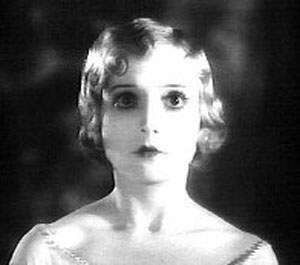 She’s Madge Bellamy, pictured below, eyes wide. I’m introducing the film, and selling my book, too. 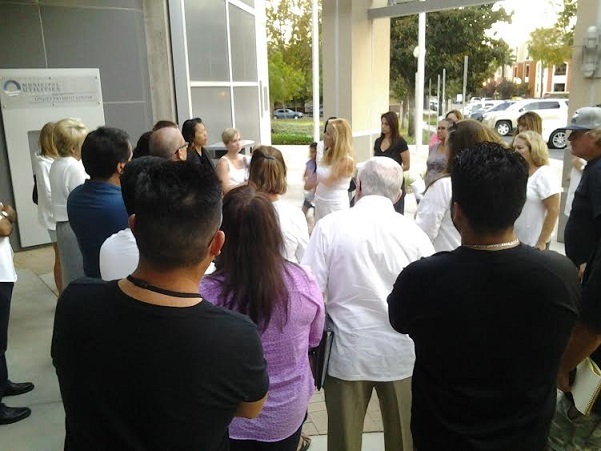 That’s at 6 p.m. Wednesday at Upland’s Carnegie Cultural Center, 123 E. D St.
After that item: more news from Upland; an update on the Girl Scout property in Claremont with news about a similarly threatened property in Chino; and a farewell to the late sculptor Aldo Casanova. 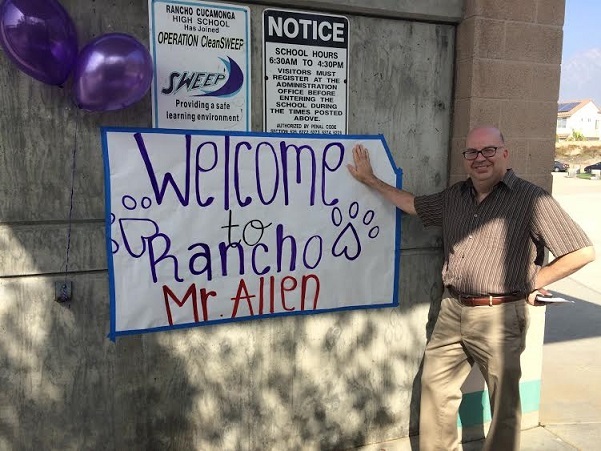 Tuesday was a dark day for education as I was named principal for a day at Rancho Cucamonga High School. I write about the experience in Friday’s column. Samo’s is a burger shack in south Pomona next to Garey High, probably an optimal location to catch young people in search of cheap eats. I ate there once a few years ago and later discussed the place with a friend who goes there; she told me she informed the owner that someone from the Daily Bulletin had been there, and his reaction was astonishment, maybe pride. I was reminded of Samo’s after “Mad Men” set a scene at a Burger Chef (restoring a vacant Burger Chef in Rialto for the shoot) and someone informed me Pomona has two of them: Golden Wok on north Garey and Samo’s on south Garey. Unlike the heavily remodeled, and popular, Golden Wok, Samo’s, I realized, still has the Burger Chef-era sign, even if the building has been stuccoed over. So it had been on my mind to go back and feature Samo’s here, and when a friend wanted to meet for lunch in the Pomona area, I suggested Samo’s. He was still parked in his vehicle when I pulled up. “Is this really where you want to eat?” he asked skeptically, giving me a chance to back out. I affirmed that it was. As I reminded him, I’d described it to him as “a beat-up burger joint,” so I hope he wasn’t under any illusions of white tablecloths. The menu is broad, as it is in most Greek-owned burger emporiums, with Mexican food, a few random sandwiches and a couple of dinner plates. 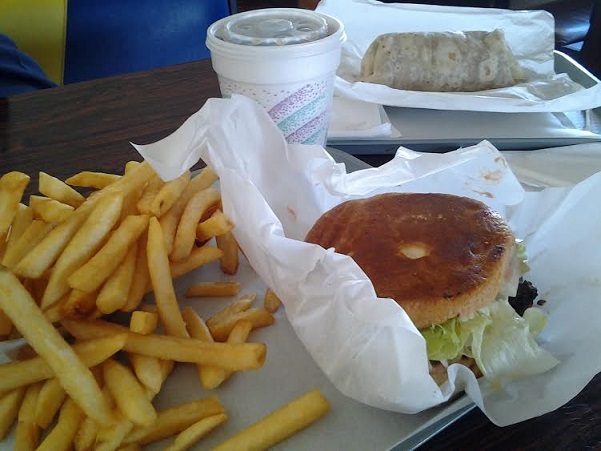 I got the burger combo with fries and soda ($4.90 with tax); he got a carne asada burrito (price unnoted). 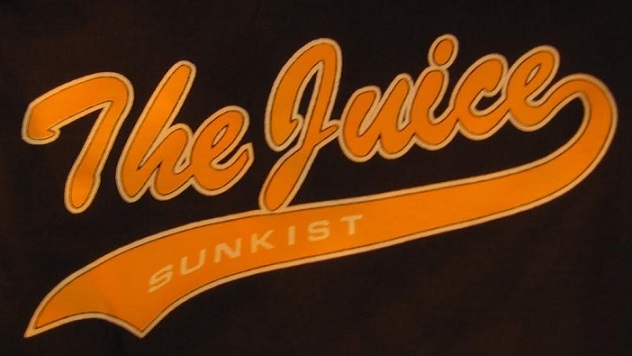 We sat in the lonely dining room with its yellow and blue-cushioned molded plastic booths. The burger was a typical thin fast-food patty, but the bun was broad; the sandwich was dressed with tomato, lettuce, onion and thousand island. They were generous with the fries too. It was a filling meal and I ate only half the fries. My friend’s burrito fell apart — he’d opened the wrapper upside down and the burrito never recovered — but he used a fork and said it was pretty good, loaded with meat and beans. Our only problem was that Samo’s has no air conditioning, or no working a/c at least. It was 95 degrees outside and maybe 105 inside. We hung out a while until the sauna conditions proved too much. I don’t envy the staff in the kitchen. 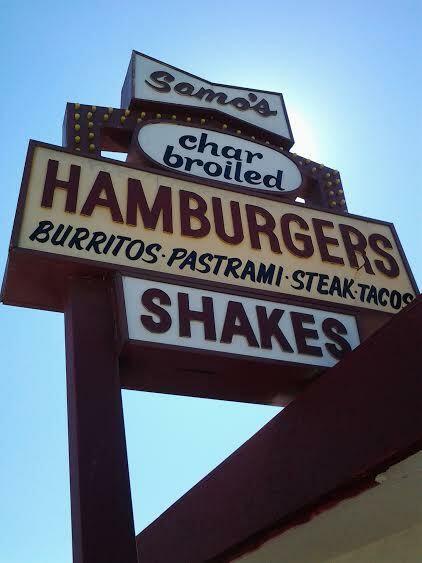 At least one commenter on Yelp says Samo’s has been there under the same owner for 30 years. 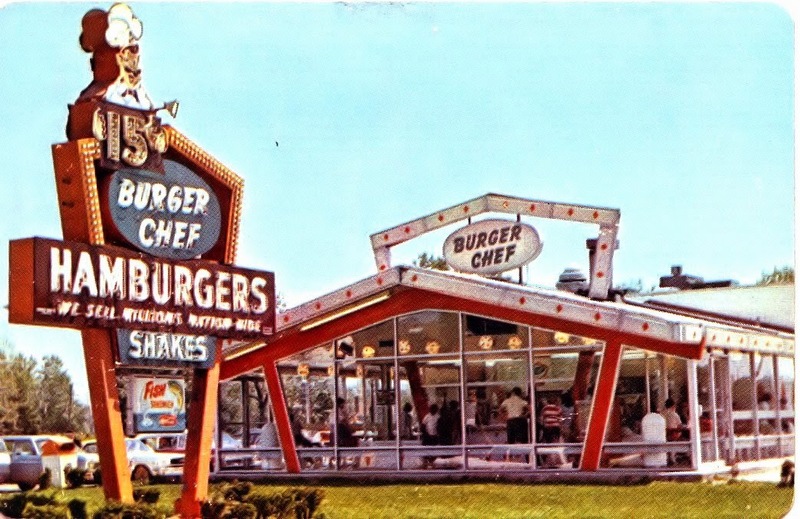 Burger Chef faded out in the early 1980s after Hardee’s bought the chain. It’s likely that it’s been Samo’s longer than it was Burger Chef, maybe twice as long by this point. 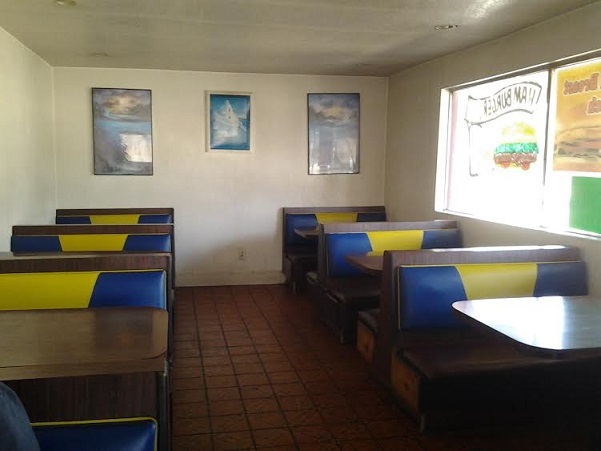 I can’t really sell you on Samo’s, and it may be years before I return, but as a Burger Chef fan, I liked being inside one again. For Wednesday’s column, first I follow up on the “Feb. 31” construction signs spotted recently along the 10 Freeway in Claremont and Pomona. They’ve been fixed. Then come items from Chino and Chino Hills, and from the cultural scene, as well as a note about a TV news geographical mistake relating to President Obama’s visit. 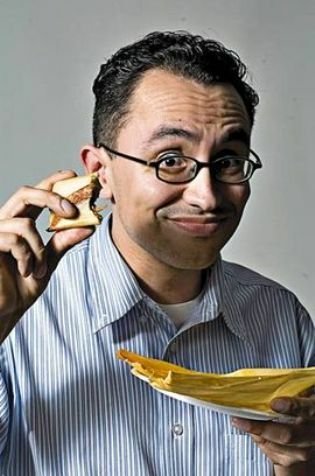 Gustavo Arellano, editor of OC Weekly and syndicated writer of the “Ask a Mexican!” column, will talk about his book on the history of Mexican food in America, “Taco USA: How Mexican Food Conquered America,” in Pomona from 7 to 9 p.m. tonight. He’ll be at the Western University of Health Sciences Health Education Building, 309 E. Second St. Admission is free. 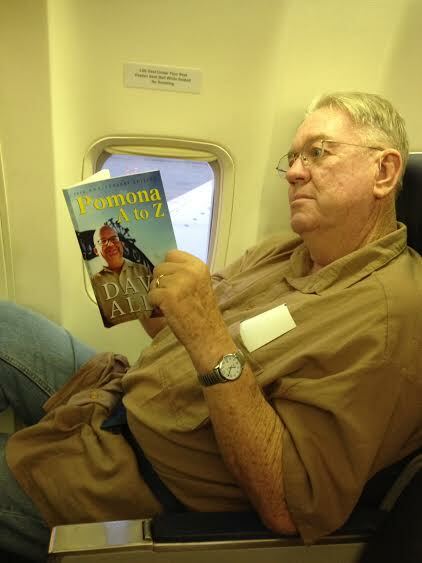 Ken McNeil, formerly of San Antonio Heights, is spotted on a plane back to Reno reading his newly purchased copy of “Pomona A to Z.” Do you have yours? Monday’s Ontario/Chaffey Community Show Band concert is a tribute to founding director and Chaffey High icon Jack Mercer — one which Mercer himself outlined weeks before his death. (Some people do not delegate well.) For Sunday’s column, I sit in on a rehearsal and get the details. All the latest from the Ontario City Council can be found in Friday’s column. Above, anti-tower residents strategize outside City Hall during the council’s closed session.